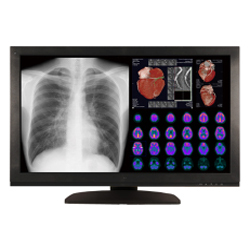 The Optik View DC30610 6MP Diagnostic Monochrome Display is ideally suited for PACS and Radiology departments requiring greater image detail. 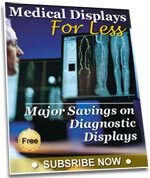 This display offers exquisite resolution to enhanced visualization of fine details. It supports Dual Link DVI input, a clock frequency of 60Hz when displaying WQSXGA (3280 × 2048) resolution and frame synchronization between the computer and monitor to reproduce a smooth moving picture without frame loss. Radiologists and clinicians will experience improved workflow and be assured of high diagnostic quality through a one touch OSD-driven calibration and reporting function that negates the need for external calibration devices.